Accurate descriptions of the various playable cultures, including clothing, religion, technology and so on. More than 40 new Hindrances and Edges to create sword and sorcery heroes. Three custom-made arcane backgrounds and their specific trappings: sorcery, Lotusmastery and enlightenment. will you update your books for the new rules ? Not the books nor pdfs, we will have free pdf with it. ok thanks. most important is to offer an update. thanks again. Both GM and PG have layers and bookmarks. I don`t know what is happening, can you send me your file to pkorys (at) gmail.com? 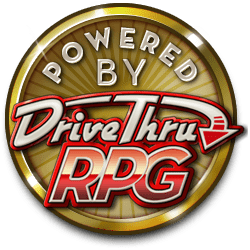 I redownloaded them fromt drivethru and they are ok.
is the link from bundleofholding the same link ? I am experiencing the same problem gm guide has layers but player's guide does not. I have checked them and both have layers and bookmarks. I am trying to upload photo. Maybe OneBookShelf changes it when watermarking? I am writting to them, please also write to them - we need to solve that. My apologies after Download the layers now function. Sorry I forgot to update you on this matter. POD - propably 2019, if not 2020. But, if you want, email me and we can arrange books. May I ask what is the legality of printing the PDF for personal use at a local print store? Do I have/need permission to this? I could not find anything one way or the other in the file it's self on this. I managed to miss the Indiegogo for this campaign. Is a print version available anywhere? If you want books only, please email me at pkorys (@) gmail.com. If you want more - please also email me, but you will have to wait. Is it possible to order a print version anywhere? Great game, I would like to add a problem that I'd noticed. The book seens to be missing the detail desctiption for the Javelin item. Damn, too late to correct if it is a mistake in print, but we can try in pdf. Shoot me at pkorys@gmail.com and we will take care of it. Any plans to add an index to the PDF? Index is there, but something wrong is with it. We will correct it after holidays.